It was a weekend of mixed results, but mostly exciting overall. Chiefs lost to Baroka, Orlando Pirates are now at the top of the Absa Premiership table following a late own goal by Keegan Ritchie against Bidvest Wits. Maritzburg United staged a dramatic comeback victory late in the second half against Bloemfontein Celtic. 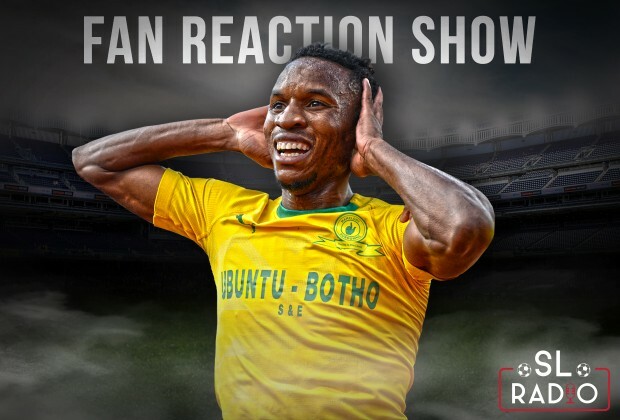 In this episode of the Fan Reaction Show, Sundowns fans are overjoyed with their side’s emphatic win over Al Ahly. @mmaxongo Lol no doubt u 're Amakosikazi fan. keep on dreaming of star baba. Star not for sale for team under fear of loosing money. Go ahead guys with your Hollad Business. I think u guys must hire the Dube's, they are doing good job for clientele. but I know u guys'll wait until they free agent. Let us not get carried away! as much as Downs did a fantastic job at home, they are still heading to the semi finals where they have to display a superior perfomance than the one against the Egyptians in the first leg. I know they can do it but let's not get ahead of ourselves. THE SKY IS THE LIMIT for the yellow nation.